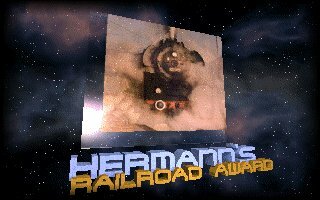 Hermann proudly presents Hermann's Railroad Award! How can You get it ?! The site must not contain text of an adult or illegal nature. The site must be engaged with railroad. The site must be so interresting that one would want to visit it again. The site should not consist only of links. I will collect the winners in a hall of fame ! You can applicate for the award here. SEH - Süddeutsches Eisenbahnmuseum Heilbronn e.V.